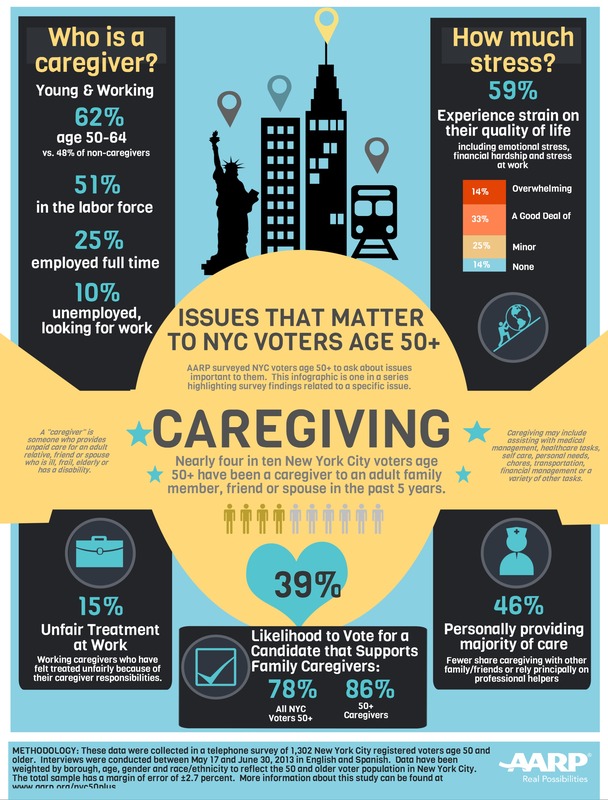 Via a Sept 30 2013 AARPNY Press Release: A new AARP survey takes a harder look at the issues facing caregivers in New York City and what they want who they vote for to do about it. When it comes to family caregivers getting the support they need, New York State lags behind the rest of the nation, ranking dead last according to the State Long-Term Services and Supports Scorecard (http://bit.ly/1bvxRZ8). AARP says that lack of support is causing serious pressure on New York caregivers.